Today was all about dressing our skeleton friend. It’s fall so time to think Halloween, right? Of course it was well into the 80’s and didn’t feel at all like fall but what’s a girl to do? 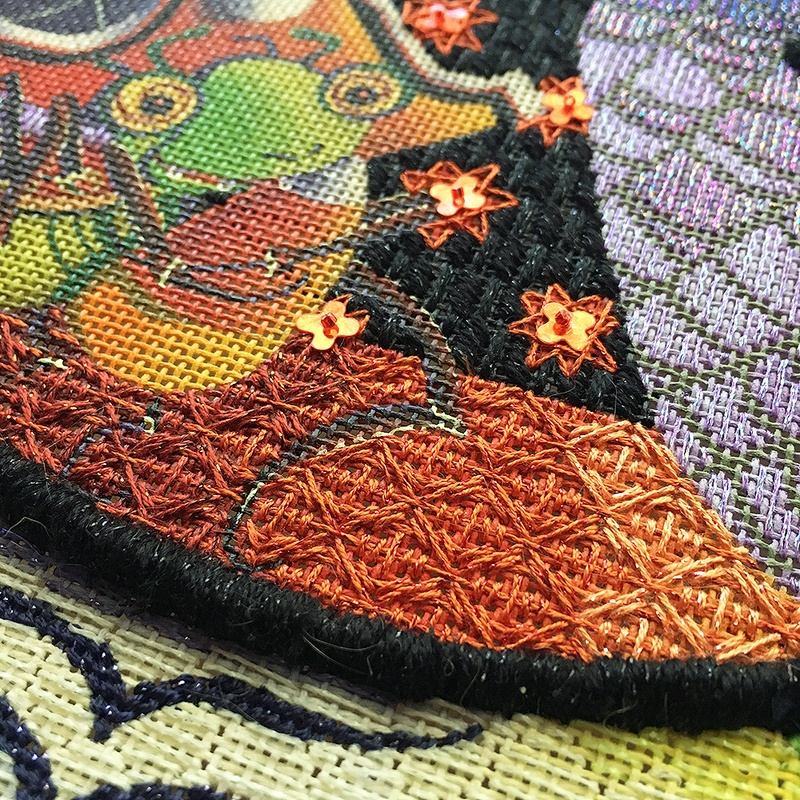 Our skeleton now has a fancy hat worked with fun stitches and threads, his collar is also coming together nicely. Today was lesson 3 of the Boo! Mystery Class. 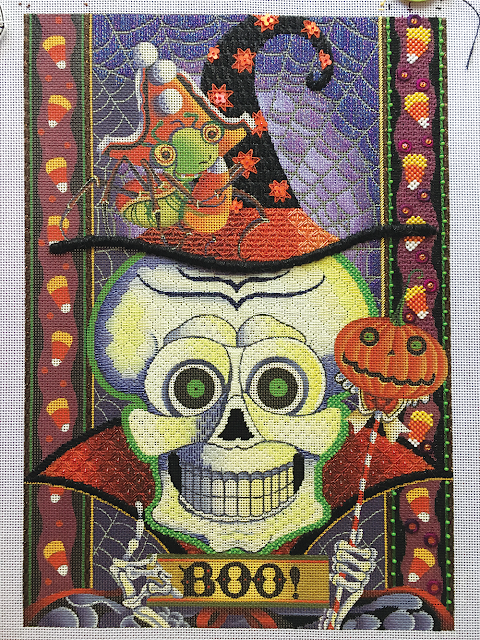 David Galchutt designed this fanciful skeleton and he’s great fun to stitch. The magical sky behind the spider web is a quick and easy stitch thanks to Accentuate in three yummy shades of purple. 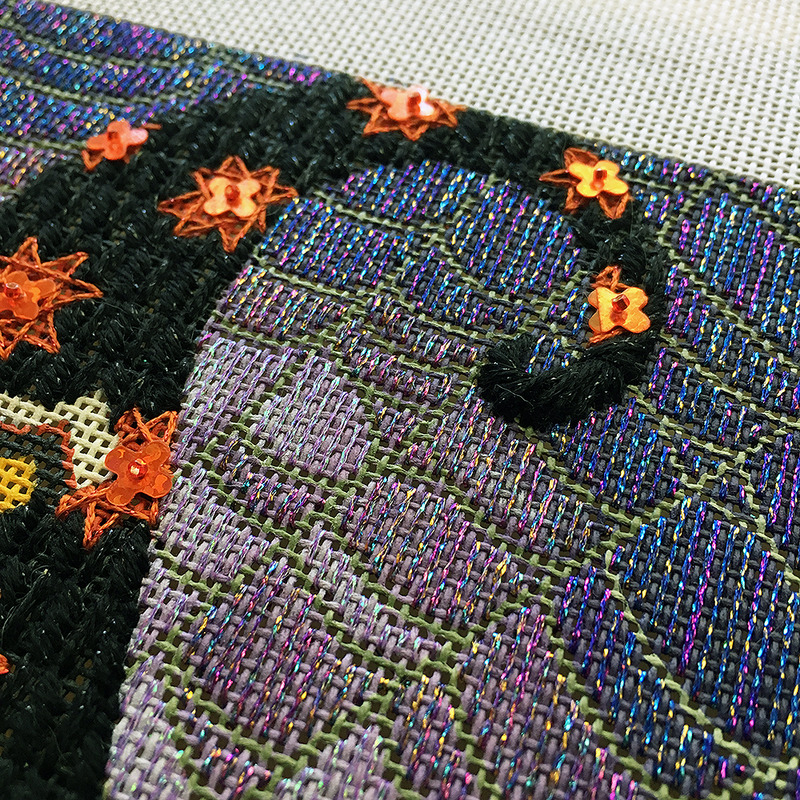 This has been quite a fun canvas to stitch and the fun’s not over yet. We have two more lessons. The next one is in 3 weeks! 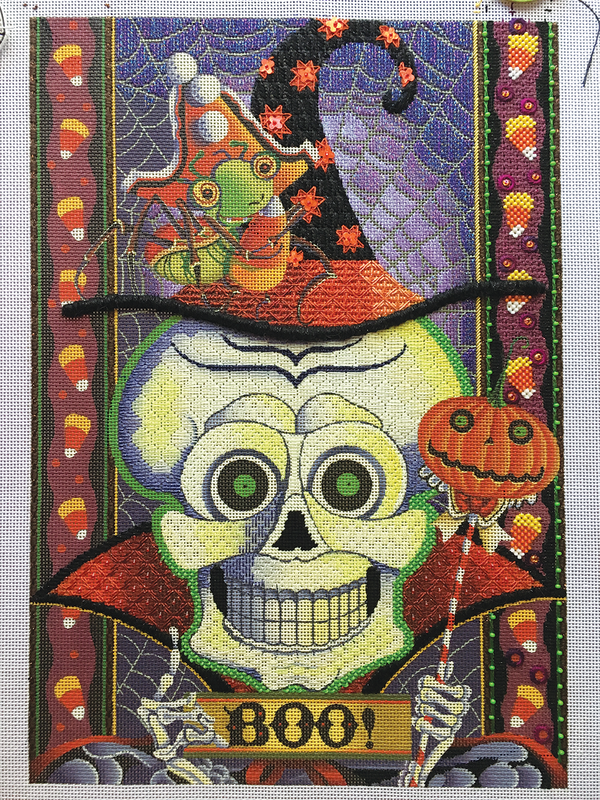 We have canvases in stock so if you would like your very own skeleton boo, give us a call or order online, here and we’ll make it happen. « Previous: We found our Marbles!